So who are these strangers who are finalists for the National Book Award, anyway? Ron Charles of the Washington Post wondered in a Tweet yesterday whether or not the fiction judges for the National Book Award will release another set of finalists for novels published in the second half of the year. And it's true: none of the finalists announced yesterday came from the impressive autumn pool of big books by top-notch writers. Remember? Pat Conroy? Margaret Atwood? Kazsuo Ishiguro? Lorrie Moore? Jill McCorkle? John Irving? A.S. Byatt ?The list went on and on. Everyone was waiting for September, and those big releases. But the finalists, when announced yesterday, took the literary world by surprise. None of those names were on it. All of the finalists were for books published in the first half of the year. 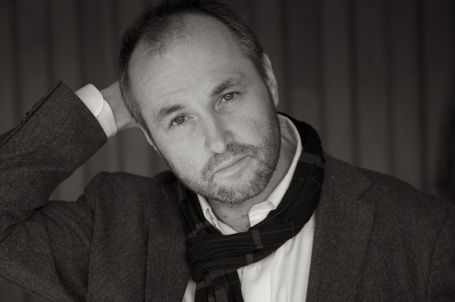 Certainly Irish writer Colum McCann is well-known, as is Jayne Anne Phillips. But Daniyal Mueenuddin? Bonnie Jo Campbell? Not so much. People were Googling assiduously yesterday, trying to get up to speed. New from award-winning Michigan writer Bonnie Jo Campbell, "American Salvage" is rich with local color and peopled with rural characters who love and hate extravagantly. They know how to fix cars and washing machines, how to shoot and clean game, and how to cook up methamphetamine, but they have not figured out how to prosper in the twenty-first century. Meanwhile, Mueenuddin's website is impressive, if not quite so flip. He grew up in Elroy, Wisconsin, and Pakistan, graduated from Dartmouth and Yale, practiced law for a while in New York and now farms in Pakistan. "In Other Rooms, Other Wonders," a collection of short stories, is his first book. So who will win? For what it's worth, the Irish bookie Paddy Power has its money on McCann and "Let the Great World Spin." The odds are 11/10, and Paddy Power issued the following statement: “This would be a great result for Ireland and obviously a bad result for the bookies but we’ll be happy to pay out should he get the nod on November 18th."